. استمتع بالخدمات الراقية والضيافة التي لا مثيل لها بهذا الفندق في سيدني. يمكن الاستمتاع بمجموعة من الخدمات على أعلى المستويات في الفندق كمثل واي فاي مجاني في جميع الغرف, أمن على مدار 24 ساعة, خدمة التنظيف يوميًا, خدمة سيارات الأجرة, مكتب الاستقبال على مدار الساعة. ادخل إلى واحدة من الغرف 38 وتخلص من عناء نهار طويل بمساعدة مجموعة كبيرة من الخدمات كمثل تلفزيون بشاشة مسطحة, بياضات, مرآة, مناشف, إغلاق الموجودة في بعض الغرف. يقدم الفندق مجموعة رائعة من الخدمات كمثل مسارات المشي, حديقة، لجعل إقامتك تجربة لا تنسى. استمتع بخدمات لا يعلى عليها وعنوان ذو اعتبار في فندق بست ويسترن بلس، ستيلر . يُرجى العلم أنه ينبغي على النزلاء تقديم بطاقة هوية تحمل صورة سارية (رخصة القيادة الحالية أو جواز السفر) عند تسجيل الوصول. يجب أيضًا تقديم وديعة تأمين ببطاقة الائتمان عند الوصول. مبلغ الوديعة هو 200 AUD لشقق ستوديو وستوديو ديلوكس، و300 AUD للشقق التنفيذية التي تضم غرفتي نوم و400 AUD للشقق التي تضم 3 غرف نوم. From the reception, this looks like a budget hotel. The front staff multitask- they are also the concierge, handle baggage storage and arrange for transport to the airport for guests. They are very busy and most of the time guests need to wait some time before they are attended to, but the staff still do their best to be pleasant. The room exceeded my expectations, even only just a night’s stay. There was an in room pantry and sofa, spacious bathroom (for this type of hotel), and comfy bed. 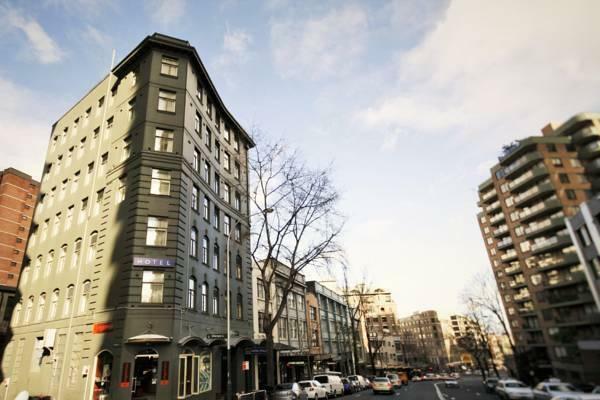 The location is optimal and close to hyde park, Elizabeth street and market street (about 10-15 mins walk away). 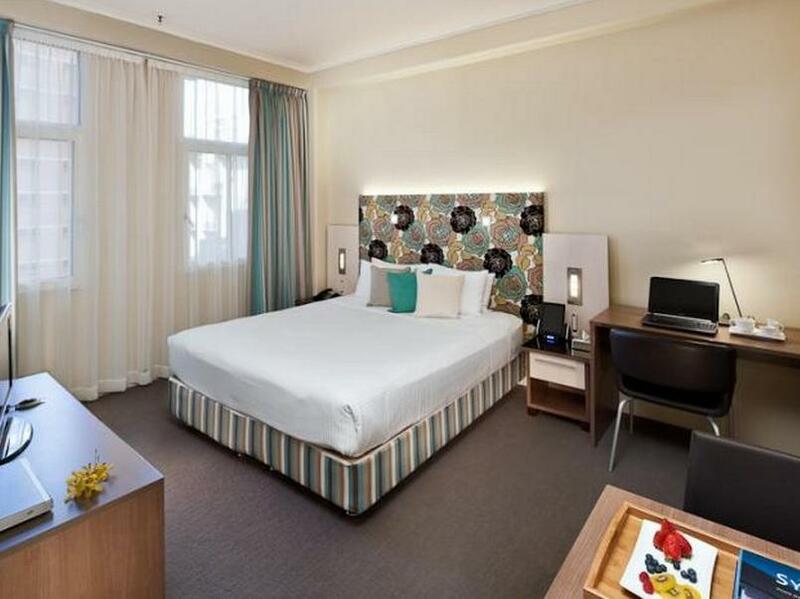 The only downside is the price for the room, which was high, but then again, this is Sydney and everything is expensive. Bar stellar downstairs has good breakfast and coffee too, at a good price. The elevator was super scary cause it jumps on every floor it stops as if there was a machine failure. The staff who received us, Michael, wasn’t even smiling or reasurring to think that I should be the one to be upset due to booking errors. The space was a bit tight but overall was okay. You could hear a bit of banging from the top floor and the hall but it was tolerable nothing that would piss you off. It was clean and comfortable, the linens were fresh, the fridge was very helpful, I love that they have a toaster although more cooking facilities could have been added. The location was a long walk if going to circular quay and opera house but there were great views along the way. 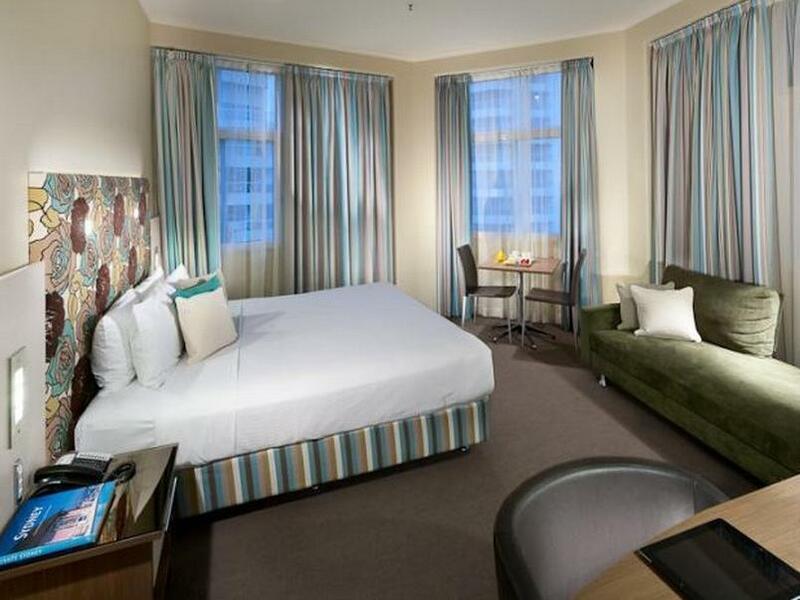 The hotel is in an awesome location - you can walk to Westfield in less than 15 minutes and have a lovely stroll through Hyde Park on the way. The rooms were very clean and roomy enough. The coin laundry on our floor was a bonus! The staff were nice, however weren't the type that would help you with everything from checkin to checkout (although, for a 3-star hotel, I wasn't expecting much), but if you needed anything, they were happy to assist on request. The aircon times out after a few hours, so I woke up at about 2am every morning to turn it back on. THIS was annoying! I thought the bed was comfortable enough, but my sister thought hers wasn't comfortable at all. Overall, a pleasant place to stay for those on a moderate budget. I would recommend this hotel if you aren't wanting to spend much but still want something modern and central to everything. Room type I booked was a studio and actually it is a very spacious room with small kitchen. I stayed 3 nights in this hotel and generally the experience with this hotel is pretty good. I will consider to stay in this hotel again. The staffs were really friendly and it was a great 6 nights stay in this hotel. Clean rooms and management was very nice to present my husband with a cake since we were celebrating his birthday during the day we checked in. Highly recommended for their great service. We were given a big room which is bigger than expected. Wi-Fi are very stable. The hotel also provides a very economic way to travel to the airport. Lots of tourist spots are very close to the hotel, such as the Opera house, the Queen Victoria building, darling harbour. 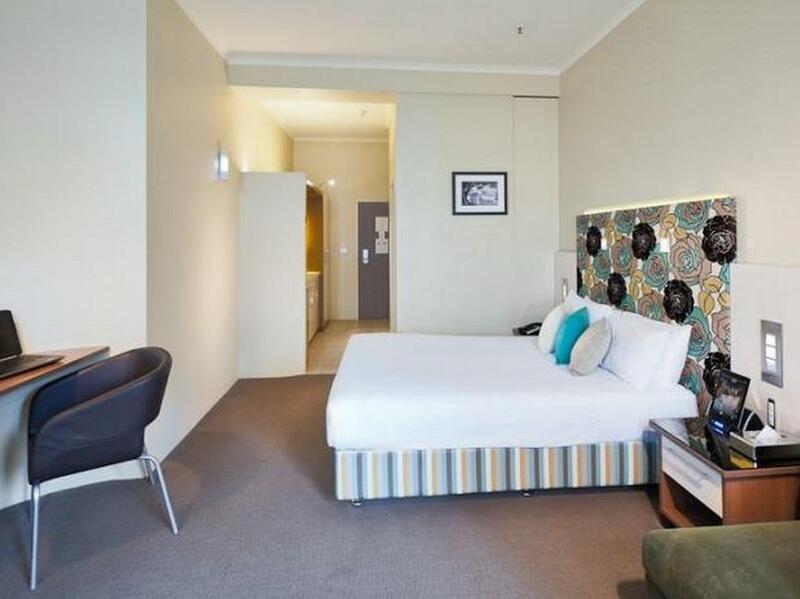 Great location, big room, unbeatable price for Sydney downtown. After a few days of B&B, it was great to go back to an hotel with silky blankets, smooth towels and extra-clean room. Great location between downtown and Surry Hills with plenty or restaurants, wine bars, and coffee shops. Pro - Check-in and check-out was easy. Unit was ready before 12pm and we were able to check-in early. - Nice interior layout. - Strong wifi. - Great scented toiletries. 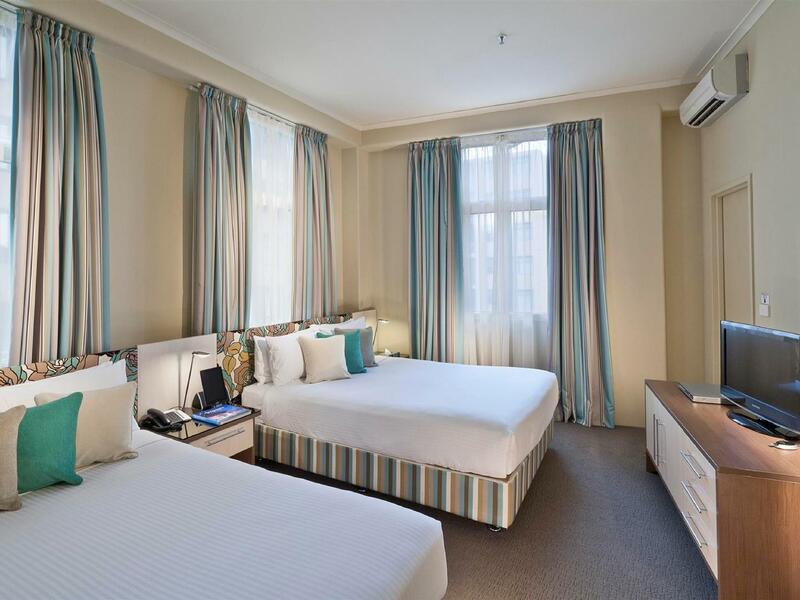 - Good location - Convenience store nearby Cons - Carry your own luggages up to your room. Our unit requires a few stair steps down/up. Stayed in a room with 2 queen sized beds. Room was very clean and tidy. Room comes with a microwave and kitchenette (Adding a stove would've been great). Great location. 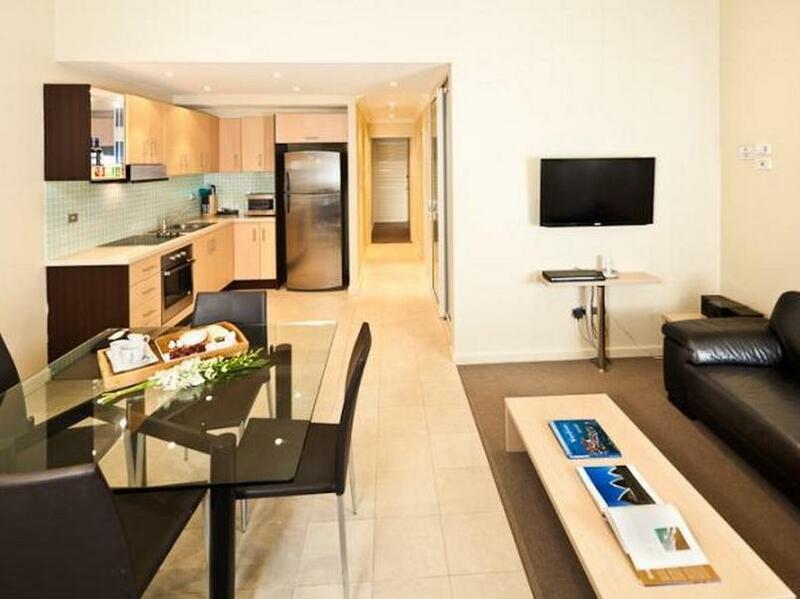 Very close to Museum Station and bus stops and Sydney's main attractions. Staffs were very friendly and helpful. Always greeted us with a smile. Would stay there again when visiting Sydney. We had a great time there. Staff were friendly and helpful, parking was a very reasonable price, beds were very comfortable, room was spotless and very quiet. The café food and service was excellent and good value. Could have stayed for a week in the very spacious room which had a kitchenette. The room is spotlessly clean and very spacious. Super comfortable bed. It is a easy 5 minutes walk to to the hotel from Museum station, but do note that there is no lift at Museum station. Overall we had a good stay. Highly recommended. Met all our expectations which was created after reading the reviews here. Musuem train station is just 3 minutes walk and the airport train stops there. Which means easy to get to and fro airport. Nice cafe attached to hotel. Good laundry room in hotel. Would definitely recommend as a great value apartment style hotel. Rooms were very spacious and well equipped. 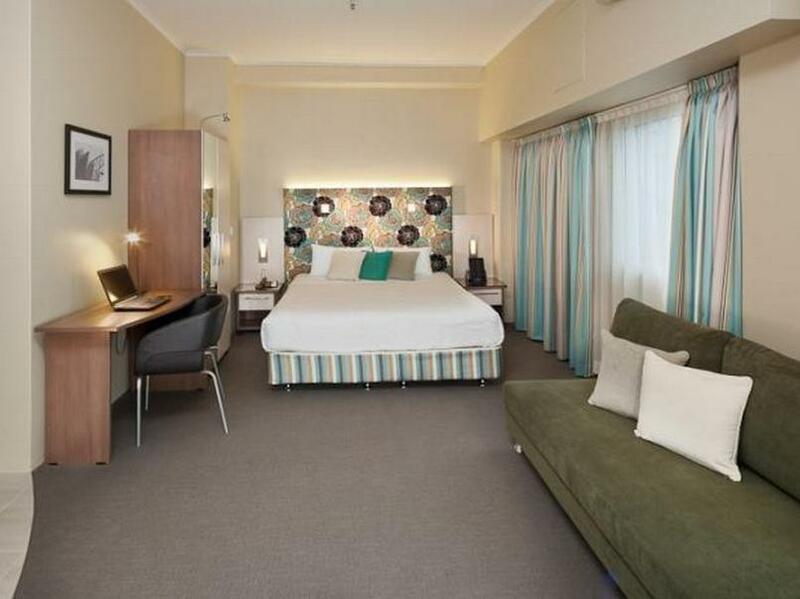 Conveniently located to the city, just across the road from Hyde Park. Walking distance to train stations. I'd stayed here before so was only too happy to book again. Stellar is close enough to walk to everything if you want to but with great public transport close by. Restaurants & cafes are everywhere as are great shopping centres. 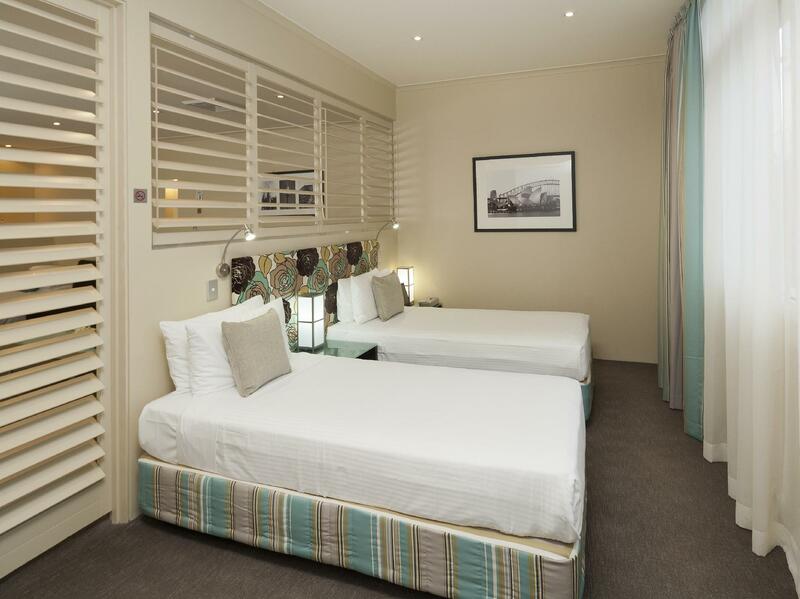 The staff were very friendly & helpful, the room was spacious, comfortable & clean although the KS bed was very hot. We loved the hotel for its location. Almost all Sydney's main attractions and major shopping areas can be reached on foot and the train station is just 5 minutes walk away. There are a few supermarkets nearby as well as plenty of choices of local eateries - just walk towards Chinatown. If you dont want to eat out, you can opt to cook simple meals in ur room where there is a micorawave and kettle provided by the hotel. We will definitely come back to this place if we return to Sydney in the future. 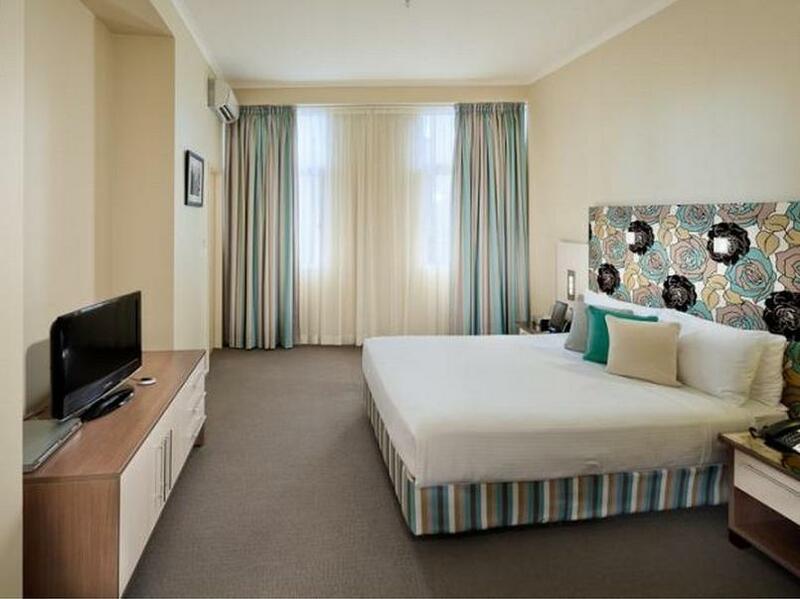 hotel is well situated in a quiet position, but still easy reaching to other major spots by foot; oxford street, china town and cbd. staffs were friendly compared with other 'non-brand' 3-4 stars hotel. breakfast provided was just continental, however, the wait staff was proactive enough to make me some eggs. overall, you get what you pay for, not more and not less. Near railway station "Museum" but not lift or evalator or heavy baggage. Good and very friendly front desk staff and can answer and serve you whenever you requests. Near Hyde park and it is an excellent place for rest or lying on the grass for leisure. Near railway station "Museum" but no lift or evalator provided for heavy baggage. Good and very friendly front desk staff and can answer and serve you whenever you requests. Wonderful apartment. The staffs was very friendly and guide us to all our needs and helping us more than they suppose to do, the gal called Caren was exteremly helpful and very pleasant. She is in 5star rating on her customer service, other staffs were friendly too. The room was big and clean, fill with small kitchen and other needs. Short walkin distant to Sydney skywalk, museum and other attraction. Subway, pharmacy and medical centre all just 3-4min walking distance. Free fast speed Wifi, allowed us to check out at 11am and leave the car park at 1pm since my daughter need some medical care. Very near to airport as well. Free shuttle bus 555 available for tourist which stop around the rocks, darling Harbour and Sydney Oprah house, again the bus stop just 5min away from hotel. Comfortable bed and quite room. Only setback was the carpark its tiny and difficult to park and it's back of Hotel, cost me SGD 20 per night. I really would suggest let go the car in Sydney, it's worth driving only for a day and rest you can take the shuttle bus or free tour bus or paid tour. AUD 12 per pax able to transfer you to airport, also available in Hotel. We had a GREAT stay at Stellar, Upon check in we recieved an upgrade, the staff were very helpful, rooms were clean, spacious and well appointed, Location is excellent as you are close to City and on the door step to Oxford Street.